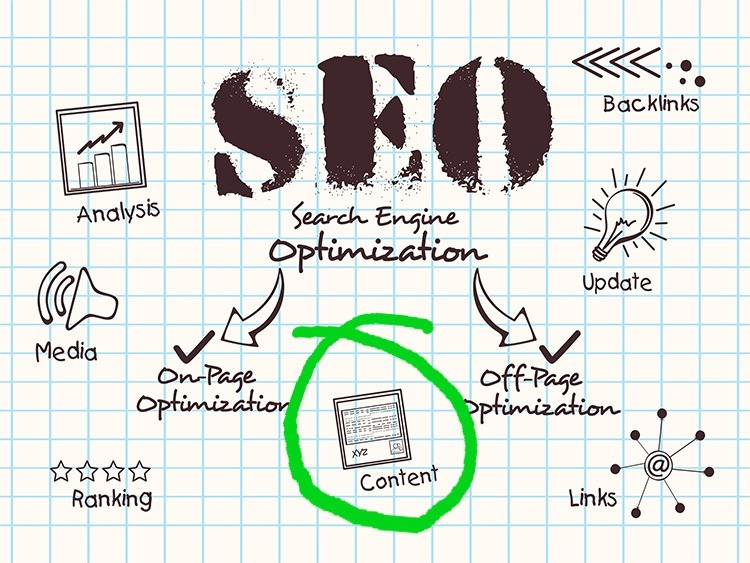 SEO content – What is it, and why do you need it? These days you need more than just a great looking website. Your site needs to rank well on Google too. If your potential customers can’t find you easily on Google, they’ll go with the businesses they can find (i.e., your competition). For this reason, SEO is critical, and today I’m going to focus specifically on SEO content. Briefly speaking, SEO content is text or words on your site that Google likes. There’s a whole heap of SEO considerations that please Google, and when you get the formula right, you can achieve a great ranking on Google. Some pieces of the SEO-content-puzzle include the number of words per page, keywords and density, links, images (and image Alt Text), page title, meta description, and headings. There’s more to list, but these are the main points to cover off when writing SEO content for your site. It might all sound daunting, but you can learn it. Or there are SEO content experts out there who can handle it for you. When searching for a business that offers your products or services, your target market are typing common words or phrases into Google. Where do you come up when they do this? Do you know? Are you on page one? Are you on the top of page one? If not, you should be considering SEO content to improve your Google ranking. Perhaps the easiest way to improve your ranking with content is to write a weekly blog. Google loves fresh content. So if you can write a weekly blog of 300 words or more, that is SEO powerful, you’re on your way to improving that Google ranking. As the Google-bots crawl your site in the coming weeks, they’ll notice your lovely new, SEO powerful content, and they’ll reward you by pushing you up the rankings. These are just the very basics of SEO, but it’s more than enough to set you on the right path. If you’d like to know more, or you have any queries, contact us here, and we’re happy to share our knowledge with you.